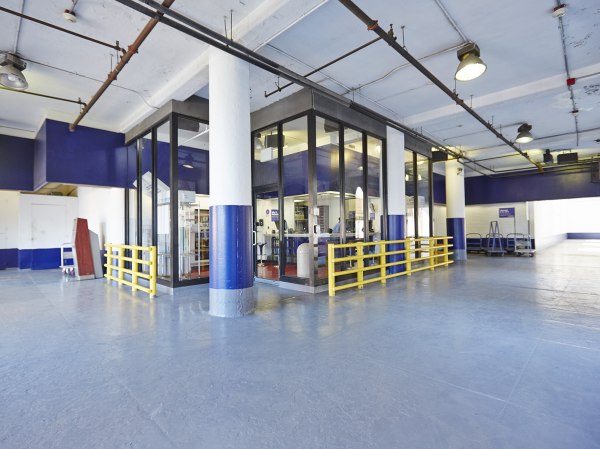 Located on West 29th St between 10th Ave and 11th Ave, in the Hudson Yards neighborhood. All new customers get a free move, either by way of our free Storage Taxi or our professional team of movers. Qualification for the latter depends on the size of the room rented and the committed length of stay. For qualified customers we will pay the first 2.5 hours for our professional team to move you, and you pay anything after that. The Storage Taxi is an oversized van that delivers you and your stuff to or from your storage space. Itâs curbside pick-up, and is available to all customers, for free, on a first-come first-served basis. Keep in mind itâs a one-way trip, and limited to picking up or dropping off in Manhattan only. 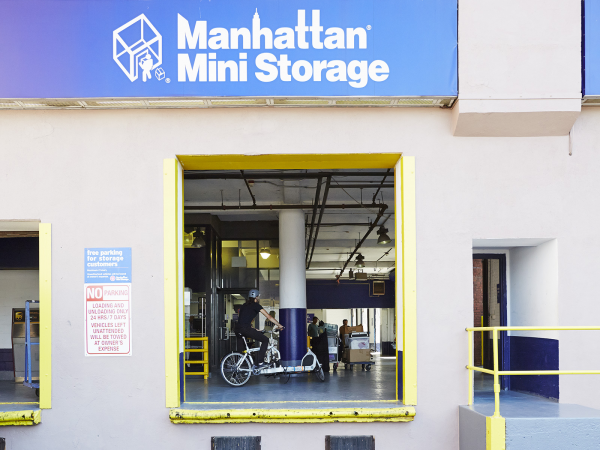 Check availability and book online on the Manhattan Mini Storage website. 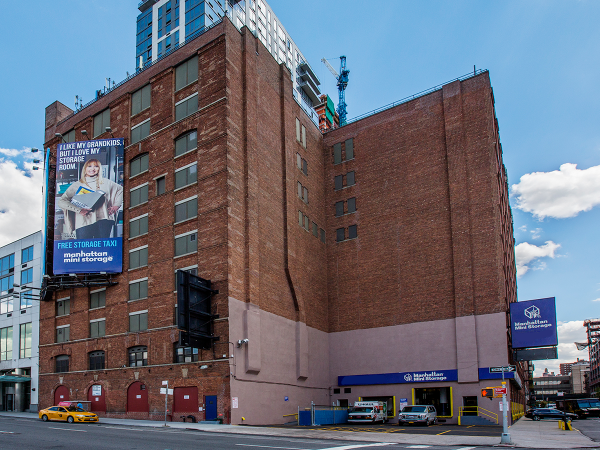 Once so uninhabited that it didnât even have a name, this far-west NYC âhood is now growing by leaps and bounds â especially with the 7-line subway expansion finally underway. The area will eventually house 17 million square feet of commercial and residential space, state-of-the-art office towers, more than 100 shops, a collection of restaurants and 5,000 new apartments. Grab one while you still can. When I checked into the unit, the initial person was extremely helpful. I explained I was in a rush to go meet my movers, and she helped me through the paperwork extremely quickly. When I came back two hours later, it was a different person at the counter and it was a different experience. I went down to the unit while my girlfriend and our mover unloaded the van, and the floor of the unit was soaked. It took 20 minutes of back and forth before a custodian was sent down to mop it up, and then my access card didn't work. When I tried to explain that to the man at the counter, he told me I needed to activate it. I explained I already had, and he was dismissive until he realized I was right. Once that was sorted however, the unit was excellent. I have a 5 x 5 x 8 unit and it fits an entire bedroom and kitchen in it. The price is excellent, especially for New York. I would use it again in the future. They were efficient and helpful. 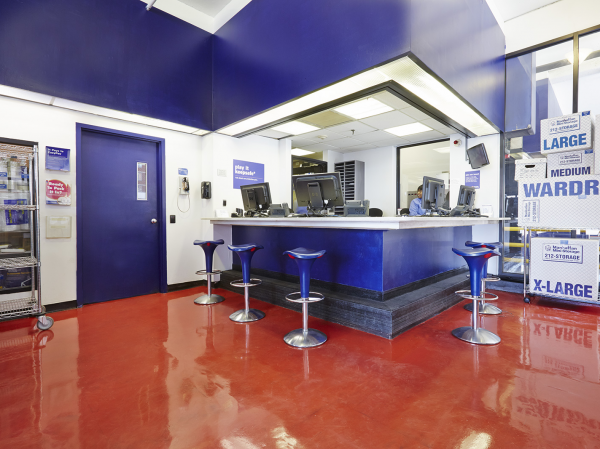 Came here on a pinch for time- Staff was friendly and explained contract quickly as the office was about to close. Satisfied with the rate and level of professionalism. From the initial contact to the moment I walked out of the building, I enjoyed each person I encountered in your company. I am still wondering who knew that business could be prosperous and conducted with exceptional services and wonderful personnel. I will continue to find a need to keep this relationship with your company and inform others. Thank you for that. I have satisfied much for good service and price at Manhattan minister age! There was a mix up on the unit price. The email says one price but in person they said another price. Hopefully this will be cleared up and adjusted next month. Great front desk customer service! Easy transfer from one location to another thanks to a great front desk person. Thank you!